A portion of the passport sales proceeds will be donated to the Children’s Wish Foundation. Children’s Wish Foundation will fulfill the favorite wish for any child having limited life expectancy. The shops are collecting coloring books, crayons and other new crafting supplies to donate to the foundation. Bring a donation and get an extra ticket for the hourly door prize drawings. 1. Receive a FREE gift from each store. 2. 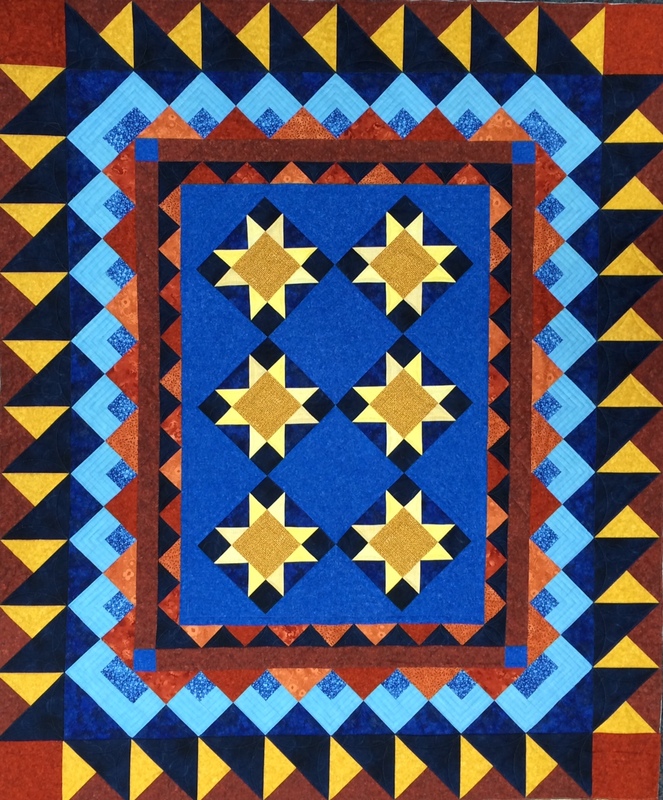 You are eligible to purchase exclusive progressive quilt kits. The 2016 pieced quilt is all about the stars. The star blocks are enhanced with fun and easy borders that make this quilt a winner for everyone. We will post a photo of the progressive quilt soon! 3. Participate in sales and hourly door prizes offered at each shop. 4. For every $10 spent at each store, one ticket goes into the store drawing. Each store will be giving away a $50 gift certificate. 5. Have passport stamped at all five stores to enter the drawing for a chance to win Quilters Cash Prizes.